TRESemmé Compressed Micro Mist Hairspray gives you lasting style with movement. 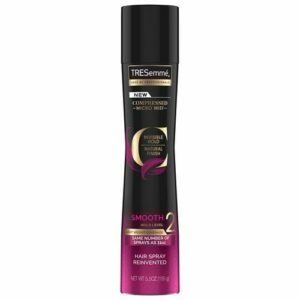 Our Compressed Micro Mist Hairspray Smooth Hold Level 2 is all about flexible, natural hold. The superfine Compressed Micro Mist permeates hair to hold your style. It's also resistant to humidity and keeps frizz at bay for up to 24 hours.